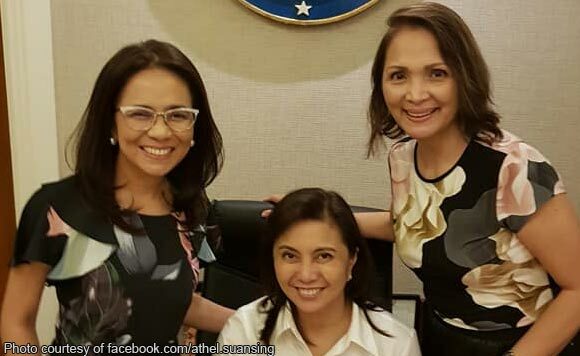 Nueva Ecija 1st District Representative Estrellita “Ging” Suansing has remained dear friends with Vice President Leni Robredo even if the latter is no longer in Congress. The Central Luzon politiko had surprised the Vice President during Robredo’s birthday on April 23. Suansing was also joined by their other friend and Quezon 4th District Representative Angelina Tan. “Happy birthday, Vice President Leni Robredo! May God grant the desire of your heart. We are always praying for you,” said Suansing. Belated happy birthday, VP Leni!